Unveiled back in August, the Essential Audio Adapter HD is now available for purchase in the United States for $149. 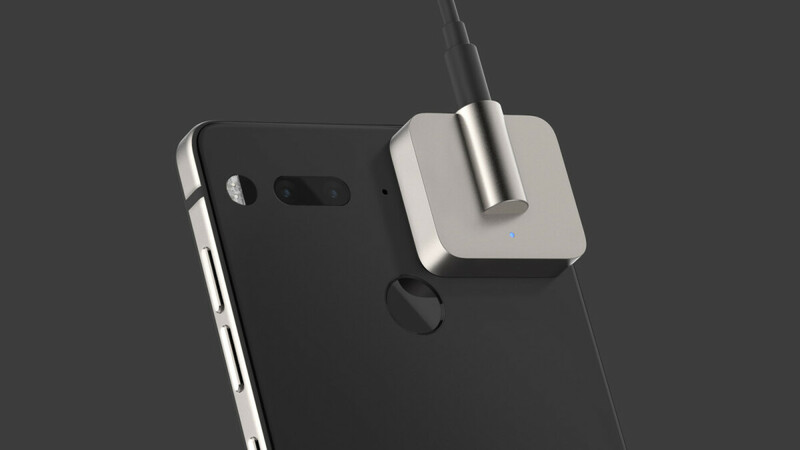 Using the MQA (Master Quality Authenticated) technology embedded in the Essential Phone, the portable accessory is supposed to provide users with a high-quality music listening experience. In simpler words, the Essential Phone should offer studio quality sound via MQA technology, which will be further enhanced with the addition of the new Audio Adapter HD. According to Essential, this is the first portable accessory to include the ESS Sabre DAC (24-bit/96kHz audio) with hardware MQA rendering, and it's also the smallest (29mm / 30mm / 11.5mm) and lightest (15.5g) of its kind. MQA technology is relatively new and it can be explained as a way of packaging digital music without limitations. Basically, all the music that you usually hear from a streaming service or the songs that you've purchased online have had their information stripped to take less storage space on your device. However, some of that information that's been removed contains elements that artists made to offer a more immersive experience. MQA is able to capture and unpack songs in a smaller size without removing anything from them. Last but not least, customers who purchase the Essential Phone will be offered a 3-month subscription to TIDAL's HiFi tier that offers master quality audio, completely free. Yeah it was a very good try, imho. When you skip out on including a headphone jack and charge consumers $150 for quality sound.lol That's why LG holds strong in my life. If you are out of a decent cheap last year, phone then an LG G6 ain't bad. Similar form factor to an Essential, similar specs, but great audio and a better (but not great) camera. The Essential Phone was ahead of its time, but the camera is so important for users that the phone failed solely because of this one flaw - mediocre camera. The Essential guys chose aestethics (elegant design with no hump) instead of a good sensor + lens combo and it proved to be fatal. But if it was me, I would have done the same choice and the same mistake. It's no the camera, if it was the camera then Xiamo phones would all bomb in sales but they don't because the mainstream identify with the brand. I mean this late in the game yeah. Crack is whack. The phone itself cost like $300, it doesn't make sense to charge half of that price just for this adapter. As much as I love my Essential Phone I cannot do $150 for this. $79.99 tops. While reading this headline on my Essential Phone my very first thought was "Well you can **** off Essential"
Dragonfly Black or Red exist, so why even bother. And a big plus, you can use them on every device. Little too pricey but is part of the fair use agreement negotiated to use Wi-Max tech(? ), deals had to be made.